One thing that hasn’t changed is the E-M1 II’s build quality; its rugged magnesium-alloy body is dust, splash and freeze proof. The sculpted handgrip is both taller and deeper than the E-M1’s, which means that it’s one of the largest we’ve seen on a CSC. This makes the camera easy to hold with larger lenses such as the 40-150mm f/2.8 Pro. One common criticism of mirrorless cameras is a lack of external controls, but that can’t be levelled here. Despite the camera’s relatively small size, it’s covered in buttons and dials that offer direct access to almost every major function. 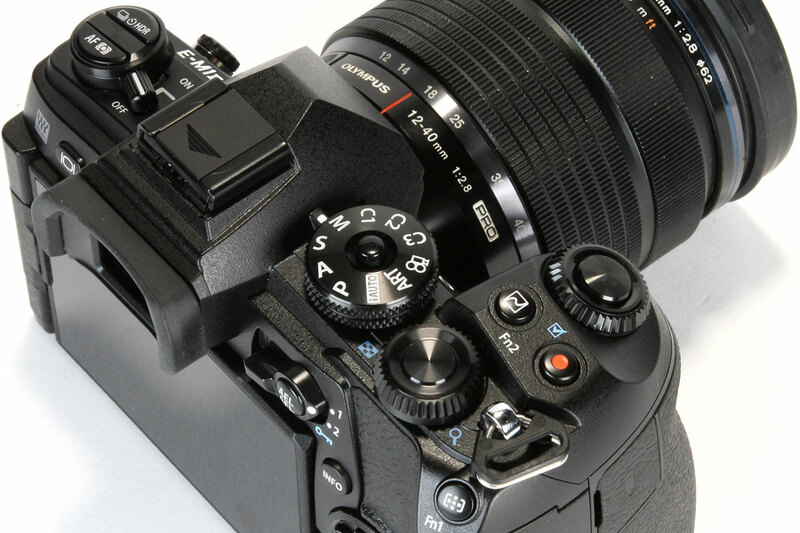 The control layout is near identical to the E-M1’s, with twin top-plate control dials and buttons providing direct access to all major settings. Indeed, the only real change is that the AE-L/AF-L button is now positioned closer to your thumb, making it easier to press. The flipside of this is that the switch around it, which by default sets the dials to change white balance and ISO, is a little less easy to use. The lockable mode dial gains three custom positions that replace Olympus’s old MySet settings memories. This may concern some users, as selecting one of the C1, C2 or C3 settings on the dial ties you in to a specific exposure mode, whereas MySets were independent of mode. However, it’s still possible to go into the menu and recall all of the other settings from one of these memories in essentially the same way as before. 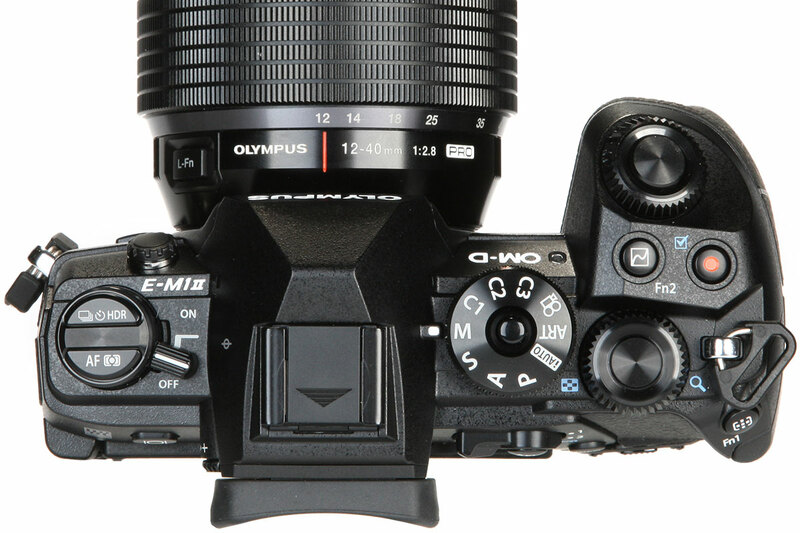 This being Olympus, the E-M1 II is almost infinitely customisable, so you can redefine exactly what each dial controls in each exposure mode, and reconfigure almost all of the buttons. So even if you’re not a fan of its set-up out of the box, chances are you’ll be able to change it your liking. 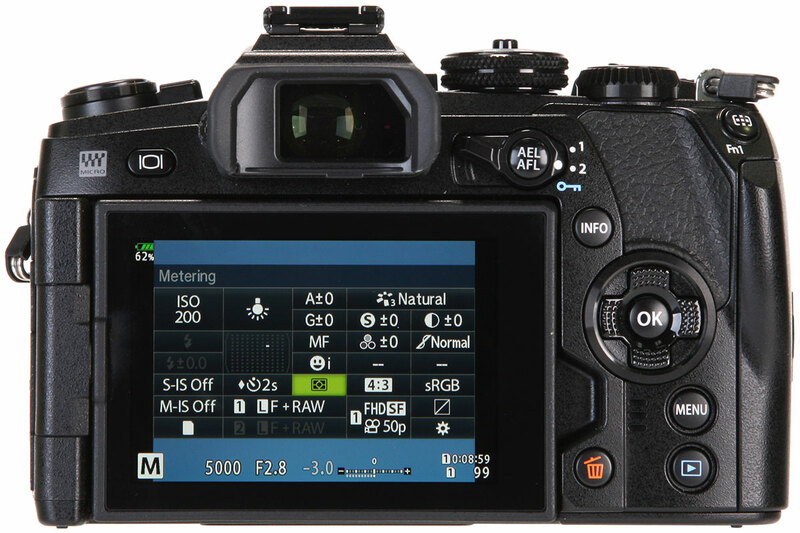 For example, you could redefine a function key to access ISO and white balance, then use the switch on the back to change focus mode, or even to turn the camera on and off. Personally, though, I find the E-M1 II works well in its standard set-up and doesn’t need much tweaking at all. But I do prefer to switch the dial functions in the PAS modes so exposure compensation is controlled by the rear thumb dial.